When you host your website on an open-source platform, it is very likely that this platform uses Apache as the default web server running on a server-grade Linux distribution. When you make substantive changes to the structure of the web server's configuration, you'll need to restart the web server (not, intrinsically, the operating system). The procedure for restarting Apache depends on the server's operating system. To restart the server, you'll need shell access to the operating system that Apache's running on. With a dedicated virtual private server, you'll either log in to a shell prompt through a browser, or using a Secure Shell session initiated from your local computer. If you cannot log into the server and execute commands with elevated privileges (e.g., by using sudo), you cannot restart the Apache server. In that case, you'll need to speak to a system administrator for assistance. If you can, use reload instead of restart because the former doesn't actually kill the server, it just re-initiatlizes it by re-reading the current configuration files. 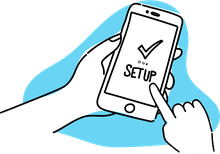 A full restart disconnects any currently connected clients to the server in addition to re-initializing the configuration files. You'll generally restart a server service using one of three methods. The first is to use a script from /etc/init.d/ — typical for servers running Debian prior to version 8.x or Ubuntu prior to 15.04. The second is to use the systemctl command. The third, and failsafe, approach is to use apachectl. To perform a graceful restart, replace restart with reload. The graceful method is similar to the reload method.